San Francisco remains the most health-conscious city in the U.S. in 2019. 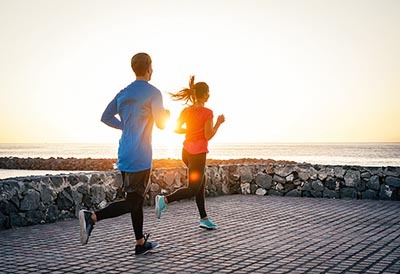 The City by the Bay has the country’s most walking and running trails per capita and ranks in the top five for the highest concentration of healthy restaurants. Two other California cities count among the top 10 for the healthiest residents: No 3. San Diego and No. 10 Irvine. San Francisco once again claims the title of the nation’s most health-conscious city in 2019, buoyed by residents’ smart eating habits and access to outdoor spaces in which to exercise. WalletHub’s annual list of America’s healthiest (and unhealthiest) places ranks 174 U.S. cities for citizens’ attention to their physical well-being on a 100-point scale. The company measures health-consciousness using 42 metrics grouped into four major criteria: health-care quality, food, fitness, and green spaces. As in the past two years, San Francisco lays claim to America’s healthiest folks, with an overall score of 73.29. The city ranks No. 1 in the country for both smart eating habits and access to green spaces and places in the top 10 for residents’ fitness habits. San Francisco boasts the country’s most walking trails per capita — 67 times more than the cities with the fewest such amenities — and ties Washington, D.C. for the highest number of running trails compared with the population. And that is fortuitous for the city’s residents, as San Francisco also has one of the highest average monthly gym membership fees in the U.S (as does Oakland). When it comes to eating habits, San Francisco ranks in the top five in the country for the highest concentration of healthy restaurants per person. It also ranks in the top six nationwide for the fewest adults not eating enough fruits and vegetables per day, along with San Jose, Oakland, and Fremont. While not cracking the top 10 for health-savvy, those latter three Bay Area cities all rank in the upper part of WalletHub’s list: Fremont (No. 18), San Jose (No. 21), and Oakland (No. 34). Two other Golden State cities did make the top 10: No. 3 San Diego (67.62) and No. 10 Irvine (61.26). The former ranks third in the country for both healthy-eating and physical-fitness habits, while the latter has the second-best health-care options in America.